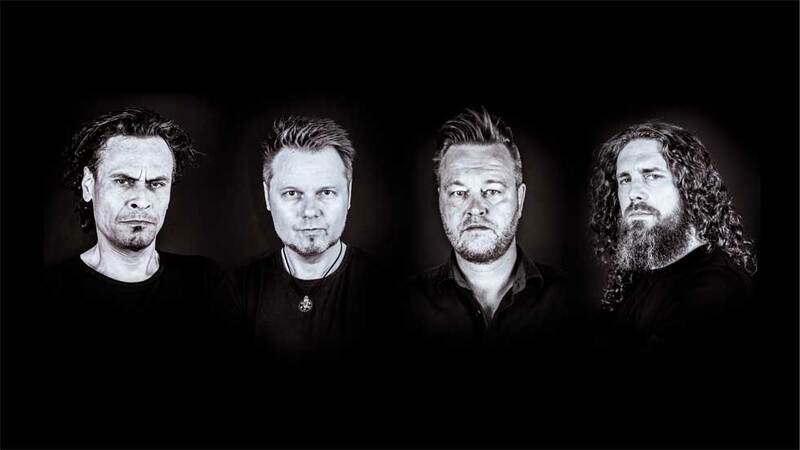 The official music video for the song ‘My Last White Light‘ from German/Dutch progressive metallers SACROSANCT, founded by former PESTILENCE guitarist Randy Meinhard, can be seen below. 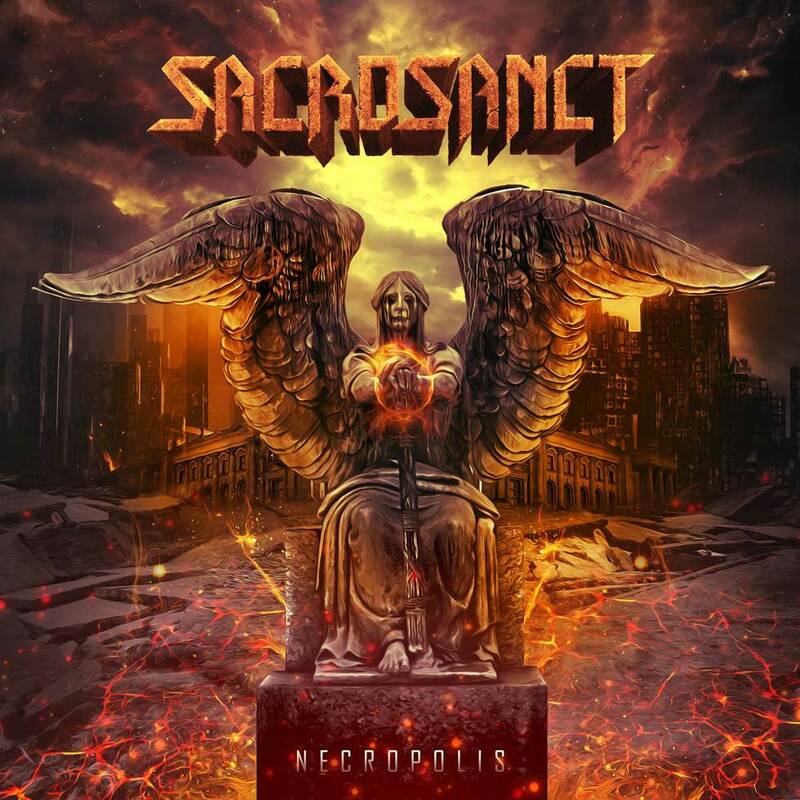 The track is taken from SACROSANCT‘s fourth album, “Necropolis“, which will be released on November 30 via ROAR! Rock Of Angels Records. The disc was engineered, mixed and mastered by Max Morton of Morton Studios, he has worked with a wide variety of acts, including prominent Ukranian metalcore combo JINJER. The objective with “Necropolis” was to record a classic, analog-sounding album using modern technologies, and at the same time avoid any modern metal clichés. While “Necropolis” bears all of the hallmarks and intricacies that characterize SACROSANCT, it displays a more mature and focused songwriting approach. Songs like “The New Age Of Fear”, “My Last White Light” and “Only One God” are lyrically thought-provoking, creating a brand of metal that still makes the band hard to categorize. Like its predecessor, “Tragic Intense”, which was released in 1993, “Necropolis” places a strong emphasis on melancholy melodies and clean vocals, but also incorporates many harmony guitar parts, faster tempos and some modern twists that mark the beginning of a new chapter for the band. SACROSANCT will celebrate the release of “Necropolis” with a special party at Hypothalamus in Rheine, Germany, on Friday, November 30. SACROSANCT was formed in 1988 by guitarist Randy Meinhard and drummer Marco Foddis, who had learned to know each either while joining PESTILENCE. In 1990, SACROSANCTreleased its debut album, “Truth Is – What Is”. The album is characterized by technically sophisticated thrash metal. The dual guitars create a straight as well as spherical and melodious tapestry of sound, interrupted by the tight drumming and the moaning, but angry and rude voice. Creative band head Randy Meinhard considered guitar duos of bands like QUEENSRŸCHE, EXODUS and IRON MAIDEN as a main influence, and Ace Frehley of KISS as initial spark. The third album, “Tragic Intense”, was even more melodious and spherical than the debut. On the other hand, staccato parts are rarely on it. In an interview for the music mag Iron Pages, Randy Meinhard stated in 1993 that the dark basic mood is what we intended to do. It just should sound sinister. In that issue Markus Wosgien (Nuclear Blast) described the album as a mixture of thrash, doom and power metal, and classified it as a milestone in this genre.